Following Dublin's victory in the Quarter Final replay over Wexford on Saturday evening details of next Sunday's Semi-Final have now been announced. The game takes place in Portlaoise with a 3.30pm throw in. The game will be preceded by the Electric Ireland Minor Semi-Final between Laois and Wexford at 1.45pm. 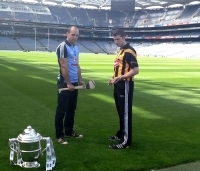 Meanwhile Kilkenny Minors play their semi-final with Dublin in Parnell Park on Saturday at 3pm. There will be a Public Sale of Tickets in Nowlan Park on Tuesday evening from 7pm to 9pm. For full ticket details click on Read More below. Tickets will also be available from Supervalu outlets in Loughboy, Ballyraggett, Graignamanagh and Thomastown and Centra outlets in Ardnore and Mooncoin. 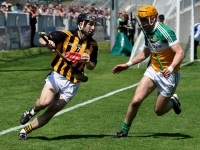 For next Sunday’s opening Leinster Championship tie against Offaly Brian Cody has announced two changes on the Kilkenny team from the side that started in recent National Hurling League Final. Michael Fennelly is unavailable due to injury and is replaced by the fit again Richie Power. T J Reid makes his first competitive appearance since last year’s All Ireland Final with Cillian Buckley dropping down to the subs bench. Another plus for Kilkenny is the return of Richie Doyle to the match day panel after a long lay-off due to injury. 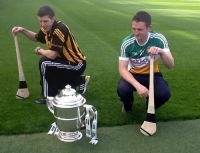 The Kilkenny Team to play Offaly will be announced after training this evening Friday. Members of Kilkenny GAA Supporters Club will receive a text message with team as soon as it becomes available. It will also be posted on this website and on Kilkenny GAA/Kilkenny Supporters Club official Facebook and Twitter pages. Meanwhile Stand and Terrace tickets are again available at the Supermarket outlets in Kilkenny City and County. Click on Read More below for details. 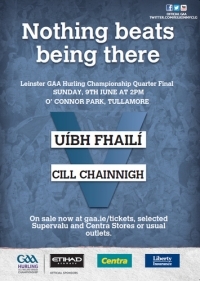 Tickets for Sunday's eagerly awaited championship opener v Offaly in Tullamore will go on public sale in Nowlan park this evening from 7pm to 9pm. Season Tickets, including Kilkenny Club Plus Cards, are valid for this game.